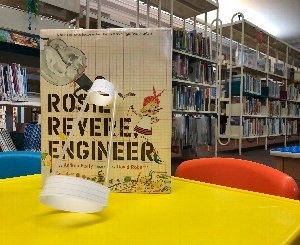 Tue, October 23, 2018 4:00 P.M.
Join us as we engineer technological marvels, ponder mathematical puzzles and conduct scientific experiments inspired by your favorite picture books. Stories are for all ages, activities are best suited to school age patrons. Come for the story, stay for the science. To schedule a group program, call 215.686.5369 or email erefccd@freelibrary.org.